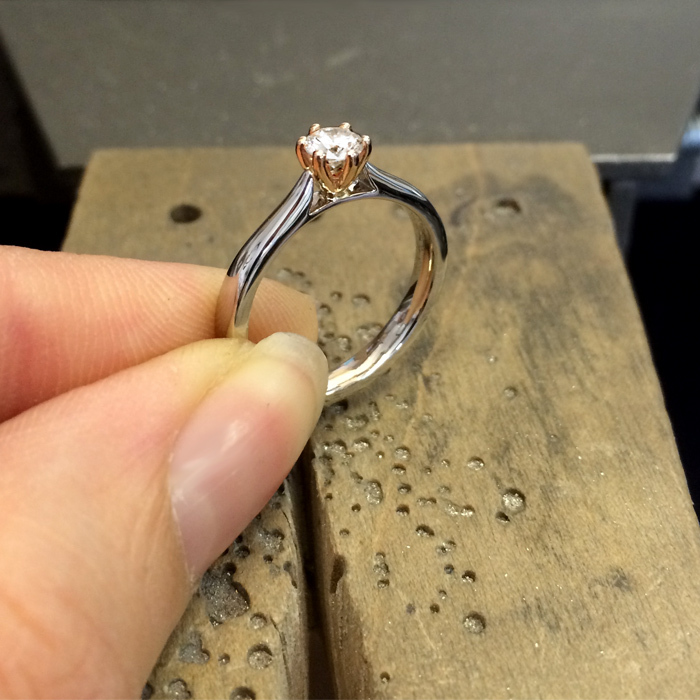 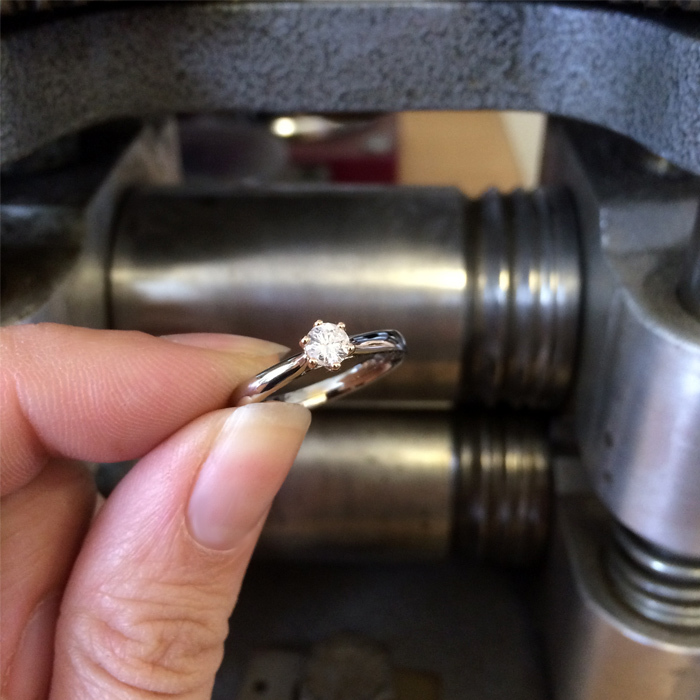 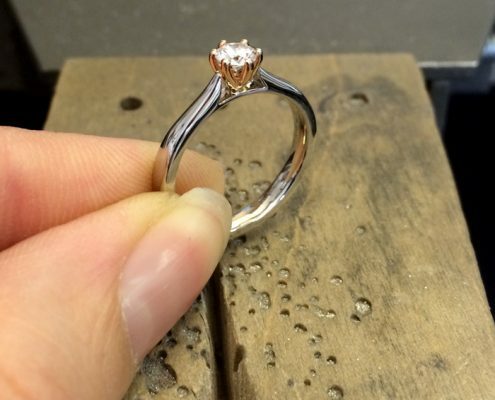 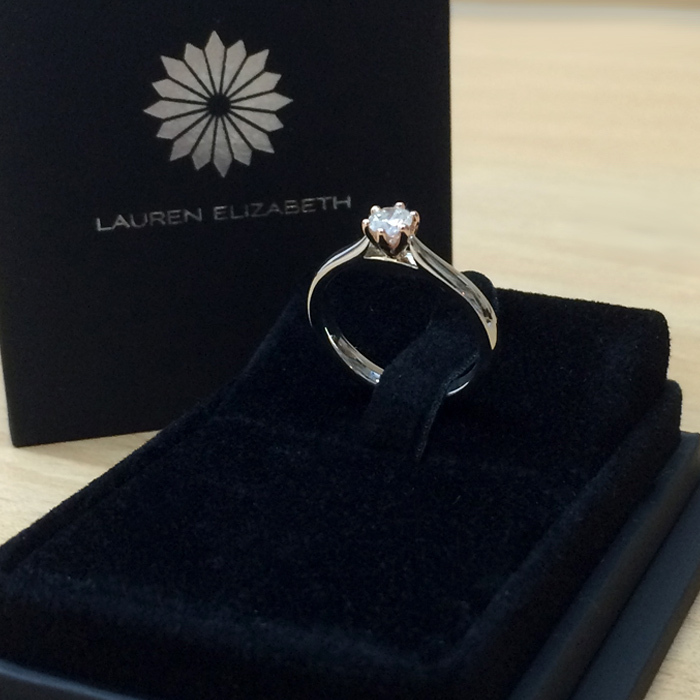 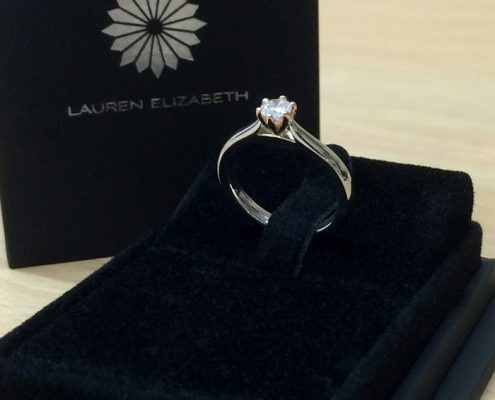 This Engagement ring was designed in conjunction with the client to be clean and simple with a modern twist. 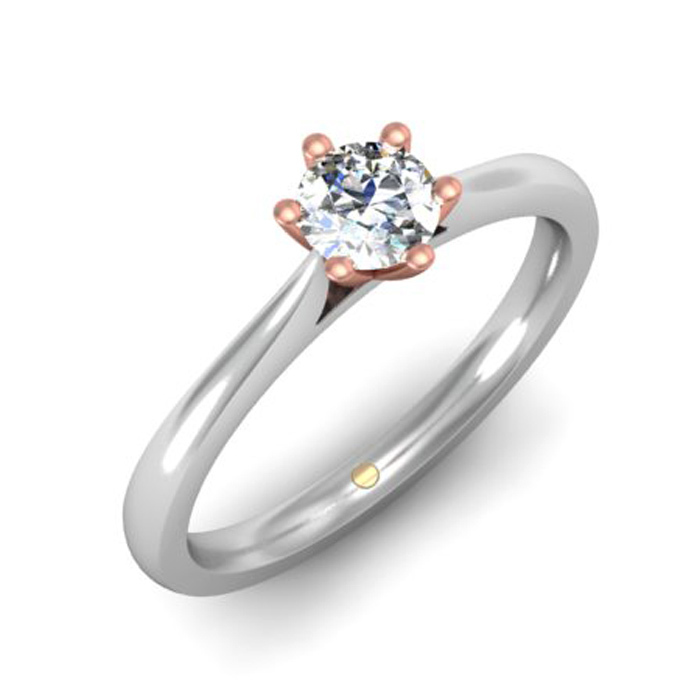 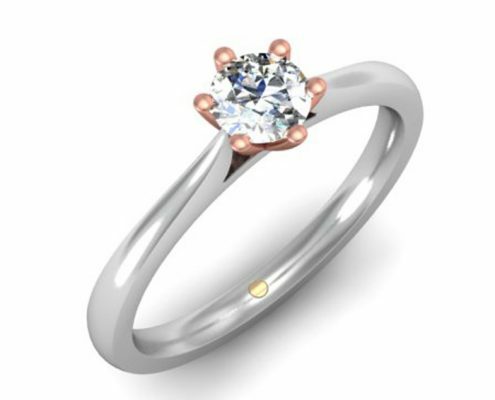 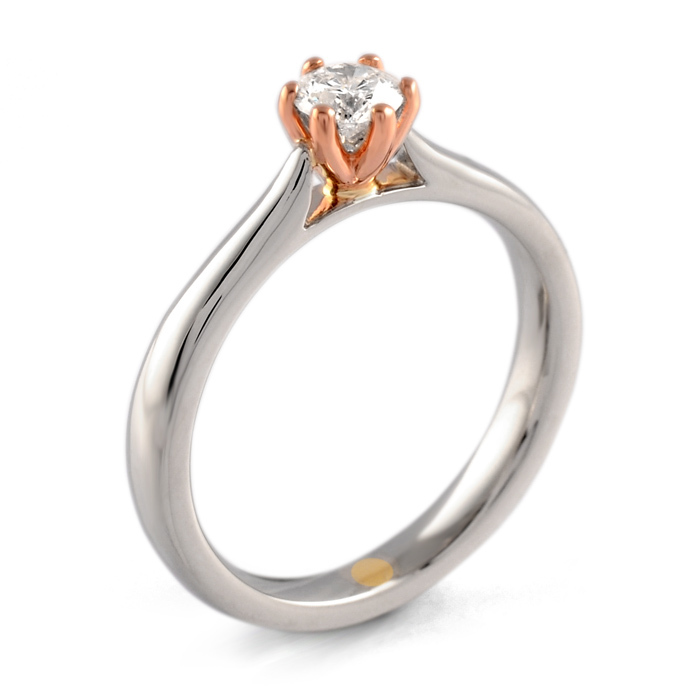 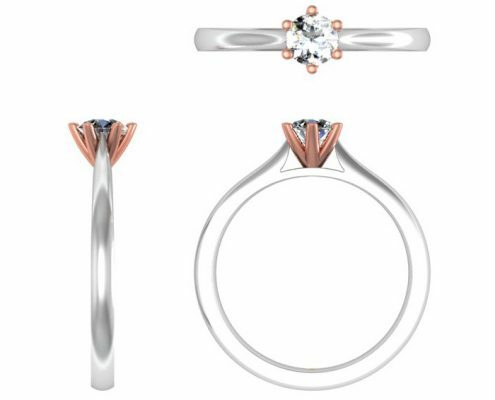 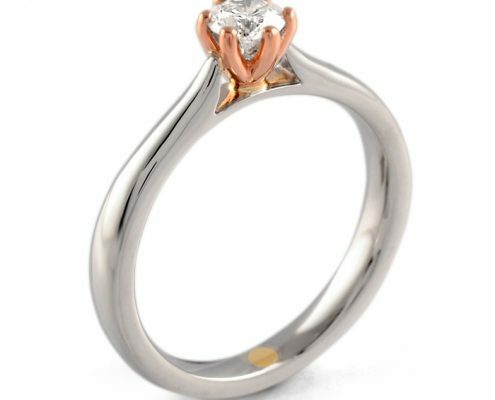 The six claw setting housing a 0.30ct round brilliant white Diamond is made in 9ct rose gold and sits elegantly into a white coloured contrasting Palladium band. 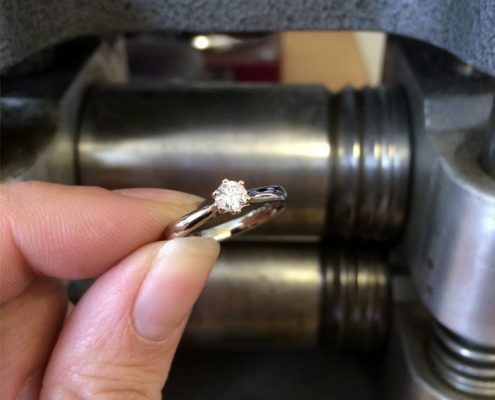 A piece of round yellow Welsh Gold wire has been fashioned and inserted at the back of the band to celebrate the bride to be’s love of Wales and Welsh Gold. 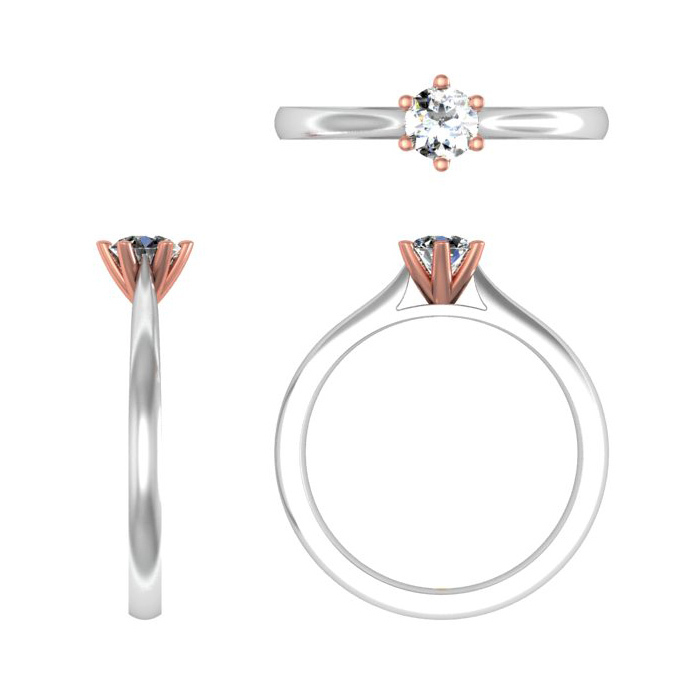 Sleek shoulders flow from the sides of the band up towards the Diamond setting, where the combination of metal colours and stone sparkle make for a stunning piece.